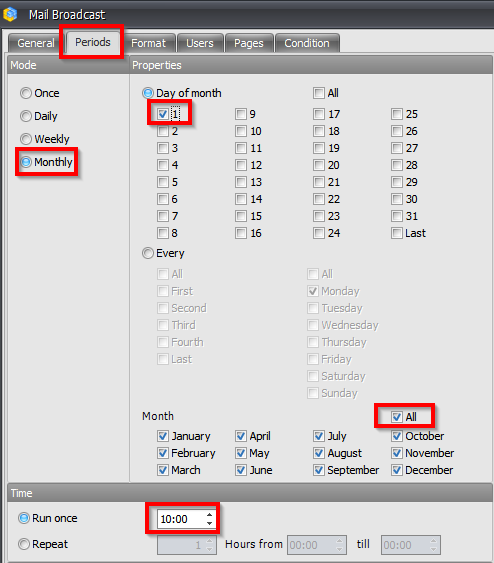 The Scheduler Service has a new possibility: you can set up a condition that will be checked before the scheduler will send the report. Let us see an example. Imagine that we want to get a report "Fall of Sales" only in the case if bikes sales amount is less than of previous month. 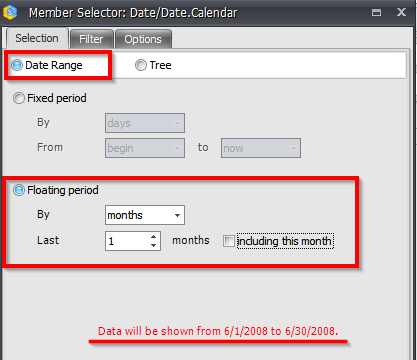 We want to check this condition every first day of every month at 10:00am, and in the case if the sales really got down – the scheduler should send a report, otherwise it shouldn't. 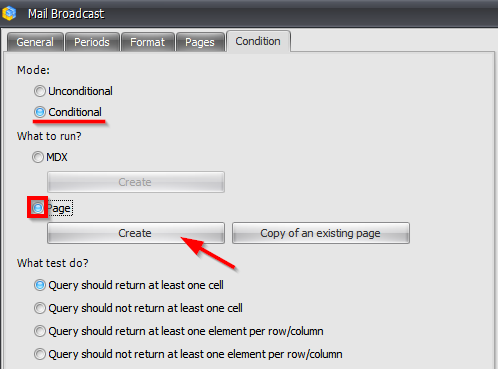 From whom to do the checking – this option can be used only by administrator. 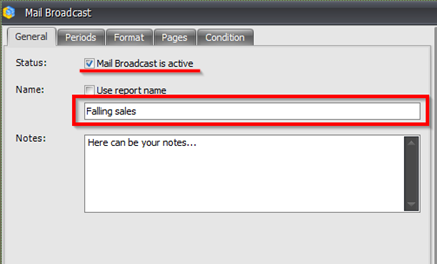 Now let us set up the condition "if the sales decreased, then send the report". 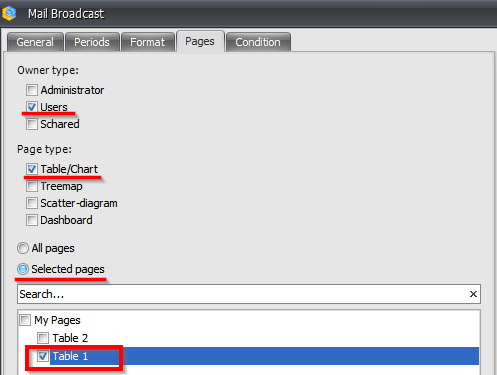 We will do this by creating a separate table (like in any reports). 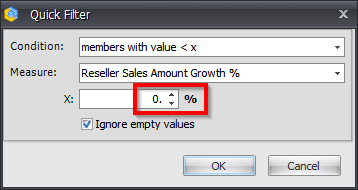 This table will have a filter on rows by the measure which calculates the difference between sales in this month and the previous one. 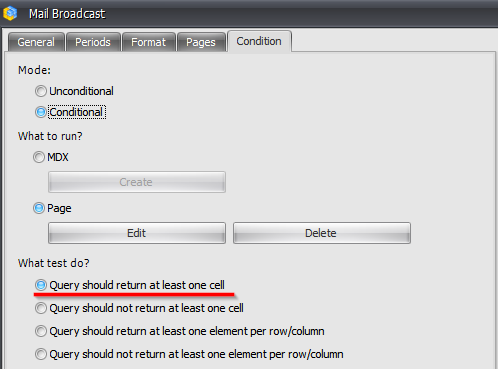 If this table returns at least one row, then the condition is met and the report should be sent. 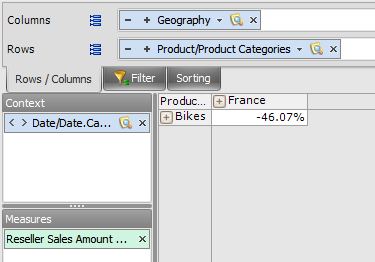 The "Bikes" category is put on rows, "France" is put on columns. 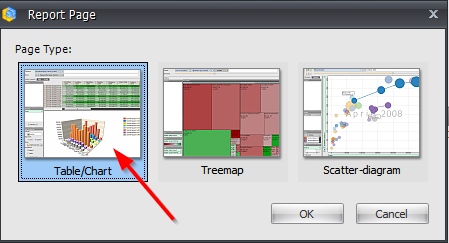 The date is in the context of the report. 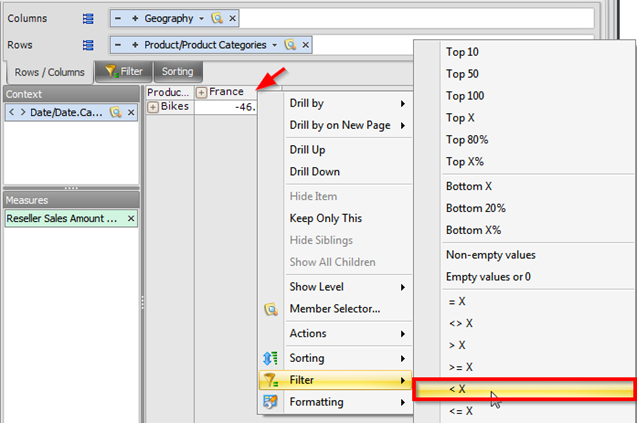 This filter will keep rows only in the case if the sales in France decreased in comparison with the previous month. 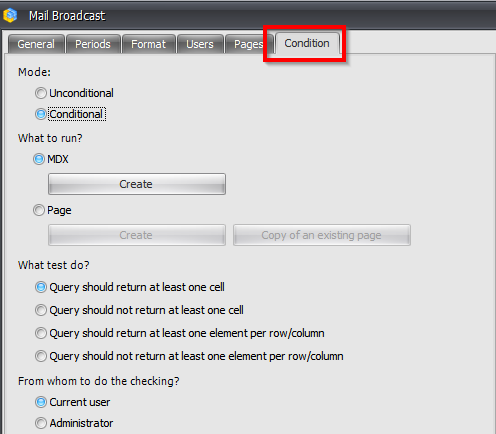 In this case the schedule will send mail only in the case if the condition is satisfied.